We guarantee that you will have your device back in your loving care within the same day we service it. Some repairs even take only a few minutes to complete. AppleCare +, as well as most insurance companies, can require that you don’t have your iPod, iPad, Mac or iPhone for 2 to 3 days. Plus who wants to pay a deductible? Who wants to deal with that problem? Talk about an inconvenience. 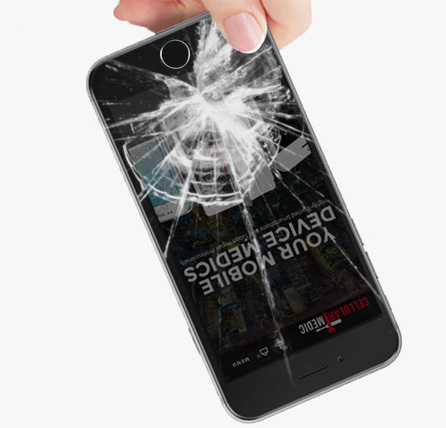 Here at Cellular Medic, we are highly trained professionals who specialize in the repair of Apple devices but our skills are not limited to them. We repair your device and you get to keep all of your documents, images, files, etc. Rest assured, we only use the highest quality parts and all repairs are backed with a 90-day warranty covering you against manufacturer defects. Most repairs are covered under the 90-day warranty blanket, however, some repairs are unable to be warrantied, such as water damage and user accidental damage. FIND A BETTER DEAL FROM A LOCAL COMPETITOR? LET YOUR CASHIER KNOW. WE’LL MATCH IT! *COMPETITOR PRICING WILL BE VERIFIED PRIOR TO ISSUING DISCOUNTS. ONLY LEGITIMATE BRICK & MORTAR REPAIR SHOPS ARE ELIGIBLE.